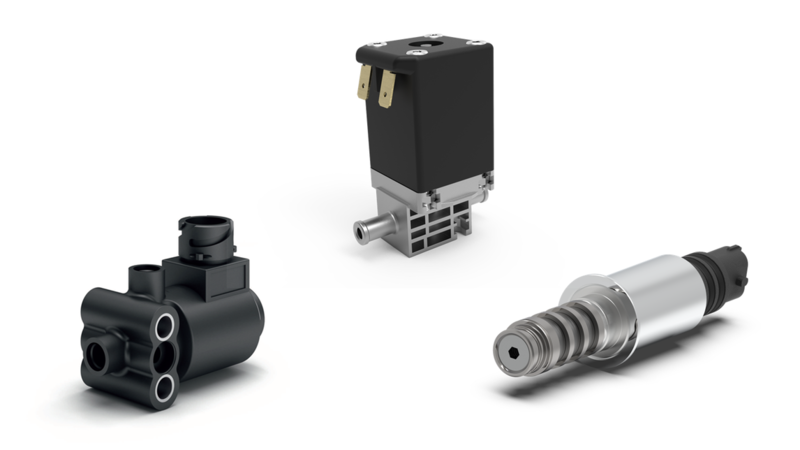 Solenoid valves from ETO GRUPPE are implemented in pneumatic and hydraulic systems. There are various application fields of solenoid valves: ABS antilock braking systems, performance control of hydraulic pumps, braking systems for rolling stock and control of hydraulic systems, just to name a few. Total reliability under difficult external conditions over the complete life time is an important quality factor for these applications. ETO&apos;s solenoid valves fulfill the requirements of the automotive industry regarding quality, reliability, innovation and economic efficiency. The ETO GRUPPE supplies its customers from IATF 16949-certified production facilities in Europe, Asia and America.